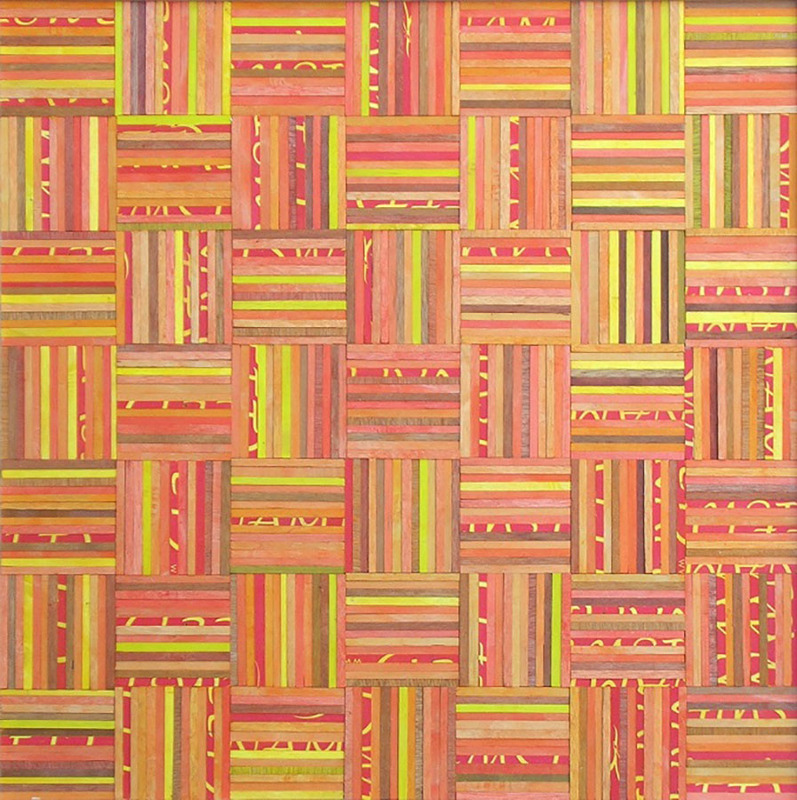 Miles Allen started painting in 1998, inspired by the colour, vibrancy and inventiveness of Emily Kngwarreye's work. 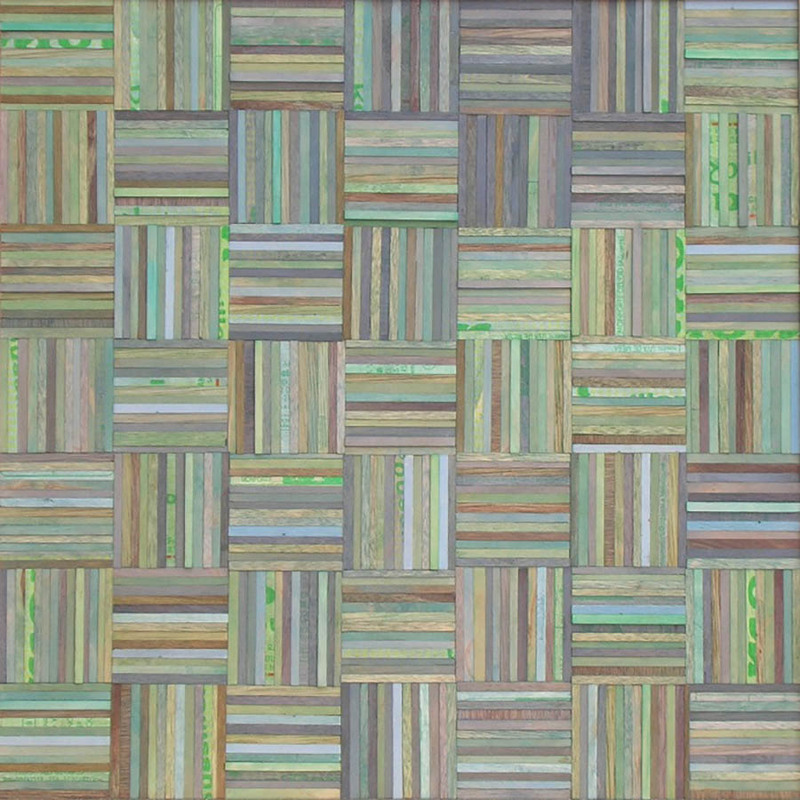 He has studied Rosalie Gascoigne’s practice and loves the innovation, repetition and the sense of place she conveys. These artists have been major influences and inspirations behind his work. His current practice is an ongoing exploration into recycling various materials to create geometrical artworks with lines and rhythms. His art is about seeing beauty in ordinary things, creating order, crossing cultures, joy, humour and repurposing. He has held 15 solo exhibitions since 2002 including last year at Caloundra and Toowoomba Regional Galleries. He has been a finalist in many art competitions and is represented in the collections of the Toowoomba Regional Art Gallery, the Mater Private Hospital, Brisbane and the Gold Coast University Hospital amongst others. 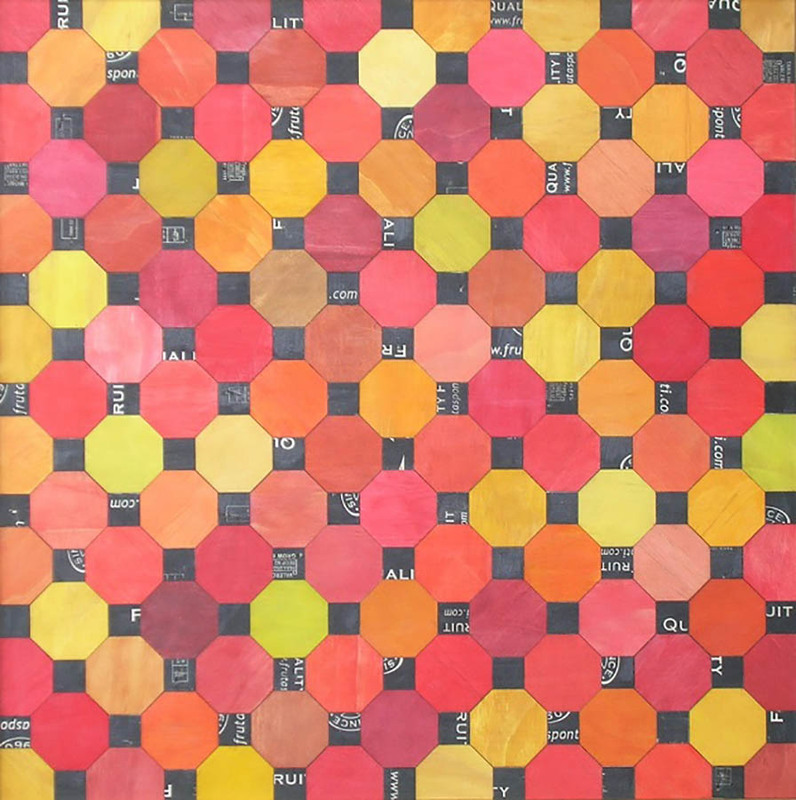 My work is an ongoing exploration into recycling a range of materials to create geometrical and rhythmic artworks. 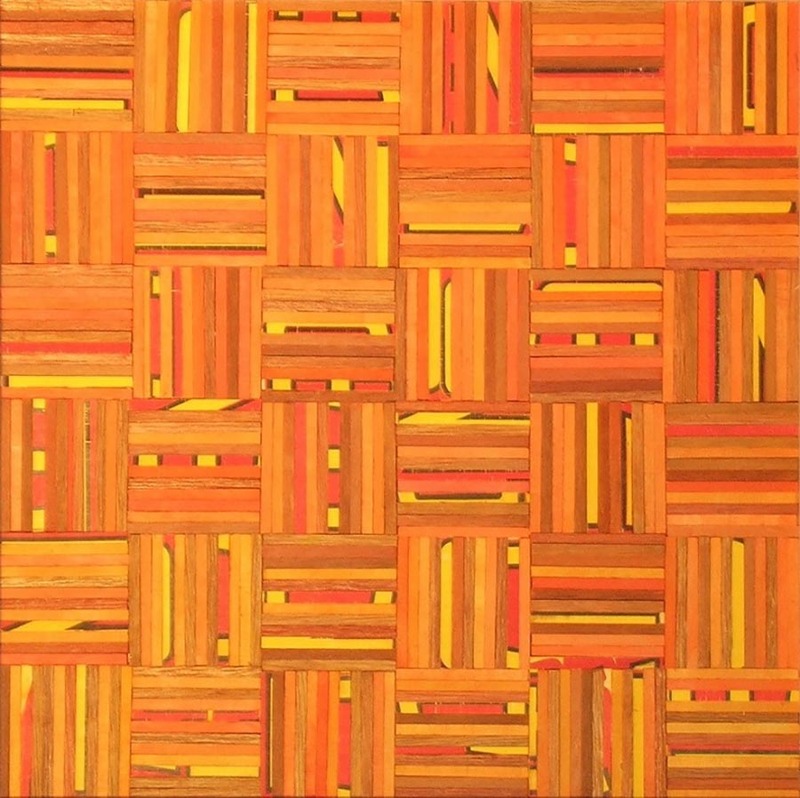 In these works, I have used different types and thicknesses of plywood to bring a strong variety of lines. My intervention with this material involves manipulation by cutting then soaking the cuttings in various shades of inks. 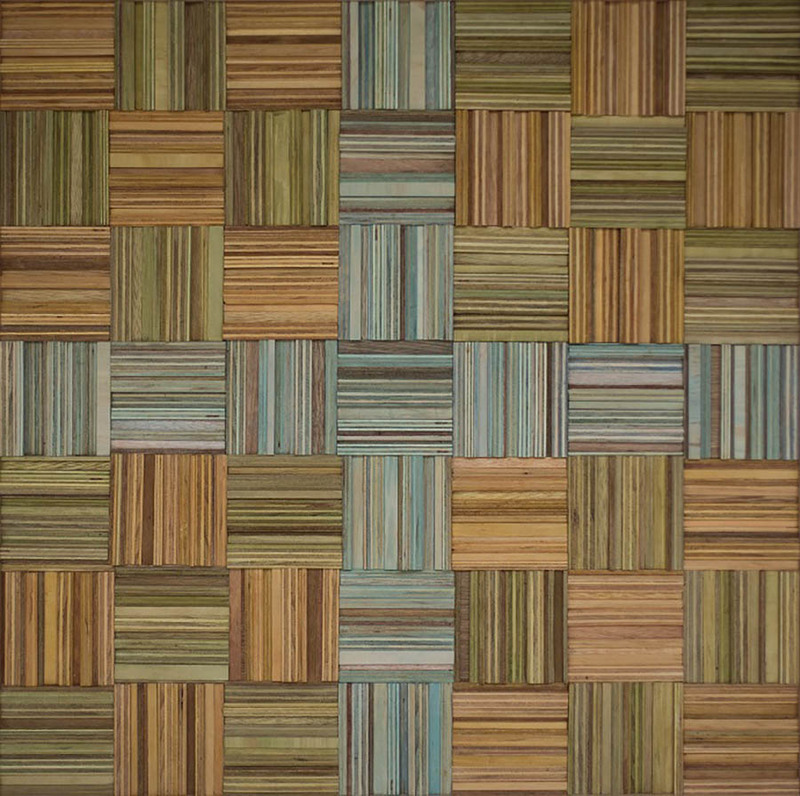 This transforms the wood into a visually rich base for arrangement into different geometrical compositions. I have always worked with straight lines, squares and geometric shapes. They give me some comfort and balance in a world where little seems straightforward or easily understood and where we construct different meanings to suit our needs and history. These artworks are intended to bring a relief to complexity and a sense of respite and calm in the simplicity of the compositions. 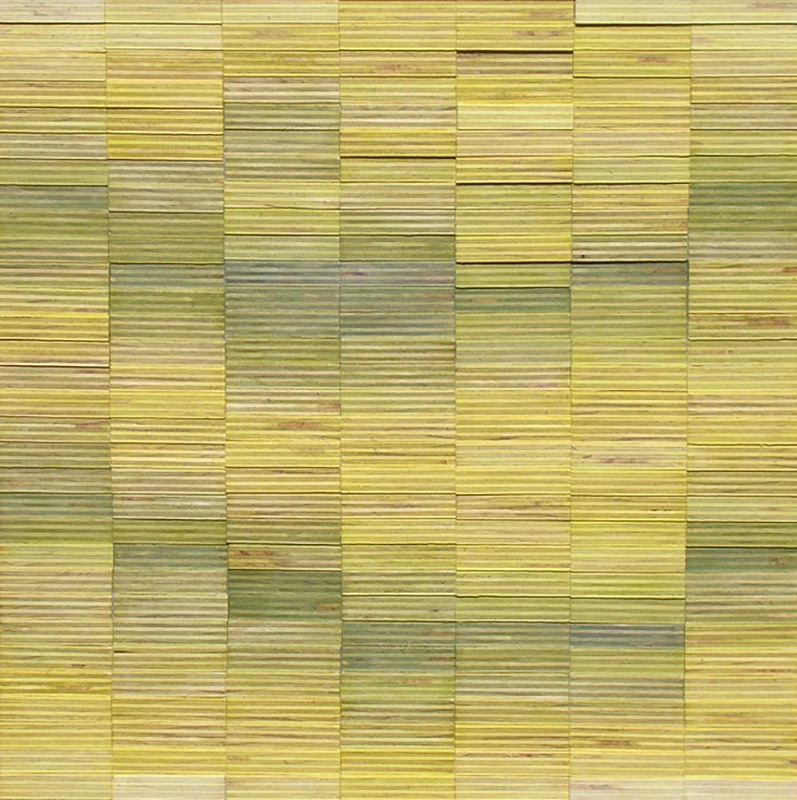 The squares in the Weaving series of works bring forth another form of simplicity in their repetitive arrangement. 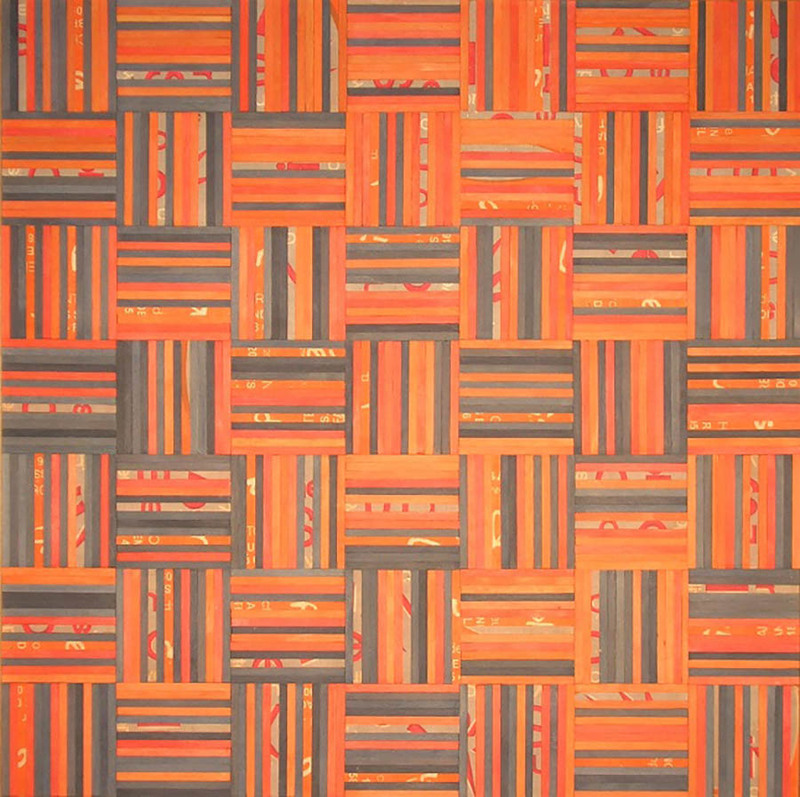 Having a horizontal/vertical intertwined pattern is reminiscent of the weaving patterns of fabric and natural materials. My exploration has drawn me to experiment with subtle shades of similar tones and different depths and forms whilst keeping a consistency in the supporting square patterns. Through these creative acts, the initial material originally destined for construction is absorbed and reappears in a novel form intended to awaken the curiosity of viewers. This simultaneously expands my capacity for inventive variation and my visual vocabulary to articulate the pleasure I take in seeing beauty in ordinary things, creating order, crossing cultures, joy and repurposing. 2016 Miles Allen, Fireworks Gallery, Newstead, Brisbane, QLD. 2015 What’s on the box, Toowoomba Regional Art Gallery, Toowoomba, QLD. 2015 Rediscovered, Caloundra Regional Art Gallery, Caloundra, QLD. 2015 Lasting Impressions Gallery, Kenilworth, QLD. 2014 Capturing and releasing Broken Hill, Broken Hill Art Exchange, Broken Hill, NSW. 2013 Out of the Box, Percolator Gallery, Paddington, QLD. 2013 Measuring fruit and veg, Bleeding Heart Art Gallery, Brisbane, QLD. 2012 Boxing clever, Percolator Gallery, Paddington, QLD. 2009 The Cavern, Mermaid Beach, QLD. 2007 Urban Grind, Paddington, QLD. 2004 Colours, Neo Gallery, Ann St, Fortitude Valley, QLD. 2004 Urban Grind, Boundary St, West End, QLD. 2003 Straightforward, Freestyle Tout, Rosalie, QLD. 2003 Infinite Systems, Charlotte St, Brisbane, QLD. 2002 Stepping out of line, Palace Gallery, Queensland University of Technology, South Brisbane, QLD. 2002 Freestyle Tout, Rosalie, QLD. 2017 A SWEEP: Old & New Works, FireWorks Gallery, Brisbane, QLD. 2015 Collector’s Choice, Lasting Impressions Gallery, Kenilworth, QLD. 2015 Clayton Utz Art Award finalist, Brisbane, QLD. 2015 Brisbane Grammar School Art Show, Brisbane, QLD. 2015 Immanuel Arts Festival, Buderim, QLD. 2015 Reflections, Noosa Regional Art Gallery, Noosa, QLD. 2014 Coastal with a Twist, Manyung Gallery, Mt Eliza, VIC. 2014 Redland Art Awards, Redland Art Gallery, Cleveland, QLD. 2014 Outside in, St Vincent’s Private Hospital, Brisbane, QLD. 2014 Noosa Art Award, Noosa Regional Art Gallery, Noosa, QLD. 2014 Moreton Bay Region Art Awards finalist, Strathpine, QLD. 2014 Brisbane Rotary Art Spectacular, Riverside Centre, Brisbane, QLD. 2014 Collins Street Baptist Church Art Prize finalist, Melbourne, VIC. 2014 Taste of Art, Noosa Regional Art Gallery, Noosa, QLD. 2013 Urban Art, Manyung Gallery, Mt Eliza, VIC. 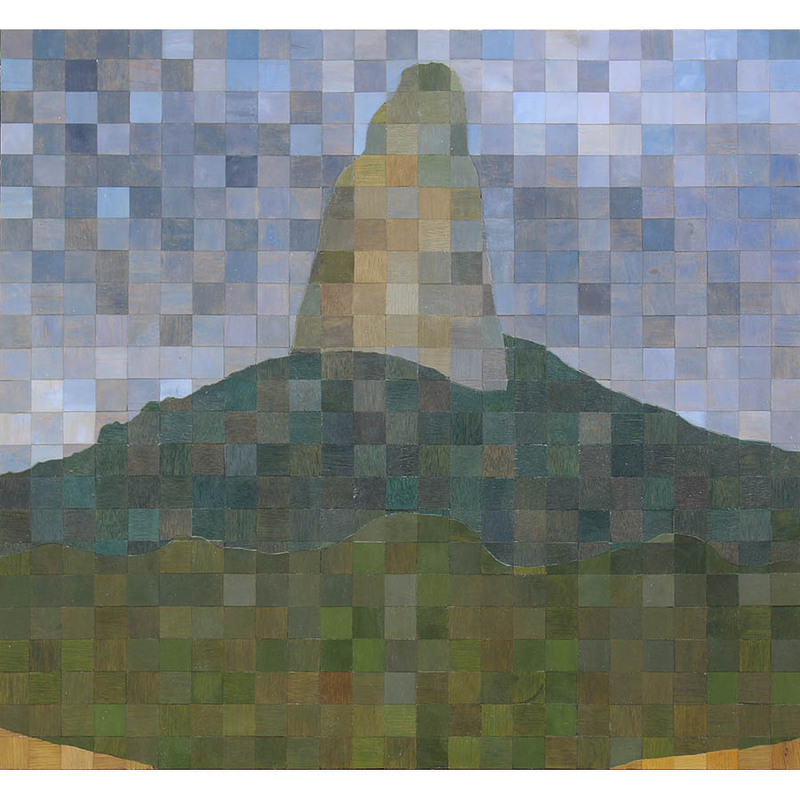 2013 Bush and ’Burbs: Landscapes from the Collections, Toowoomba Regional Art Gallery, QLD. 2013 Righting/writing the direction, Rob McNamara Exhibition finalist, Collingwood, VIC. 2013 Lethbridge 10000 Small-scale Art Award finalist, Paddington, QLD. 2013 Collectomania, Queensland Museum, South Brisbane, QLD. 2013 Brisbane Rotary Art Spectacular, Riverside Centre, Brisbane, QLD. 2012 Brunswick Street Gallery 40 x 40 Prize Show, Fitzroy, VIC. 2012 City of Swan Contemporary Art Awards, Midland, WA. 2012 Imagine you know, Biennial Emerging Artists Award, Toowoomba Regional Art Gallery, QLD. 2012 Toowoomba Regional Art Gallery - celebrating 75 years, Toowoomba, QLD. 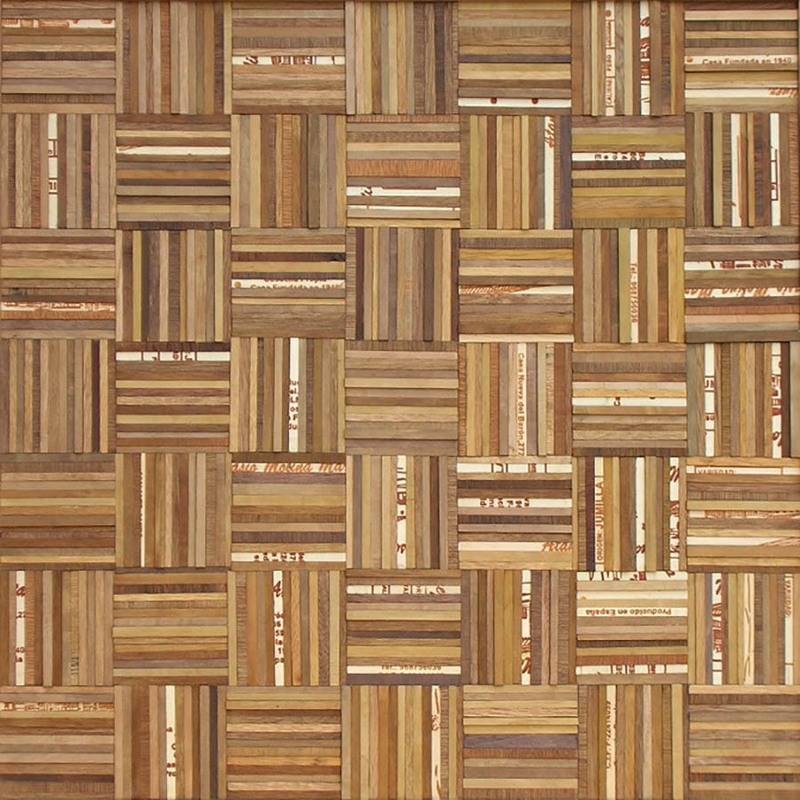 2012 Lethbridge 10000 Small-scale Art Award finalist, Paddington, QLD. 2012 Brisbane Rotary Art Spectacular, Riverside Centre, Brisbane, QLD. 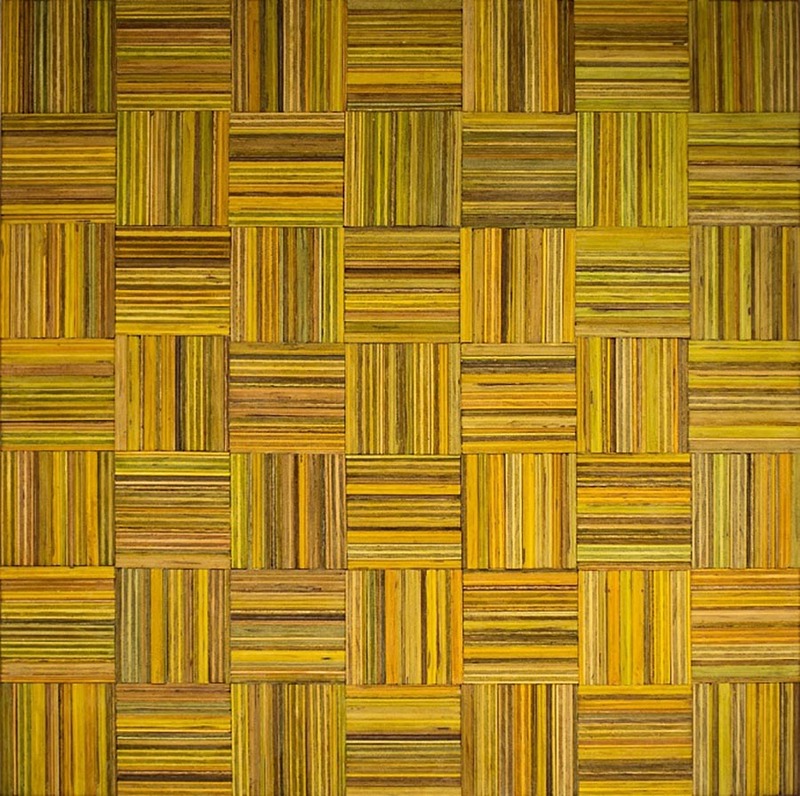 2011 Stanthorpe Art Festival Award finalist, Stanthorpe Regional Art Gallery, QLD. 2011 Kenilworth Art Prize finalist, Kenilworth, QLD. 2010 Sunshine Coast Art Prize finalist, Caloundra Regional Art Gallery, QLD. 2010 Artworkers Alliance Award, Metro Arts, Brisbane, QLD. 2009 Maleny Art Awards and Exhibition, Maleny, QLD. 2008 Art Quirks, Biennial Emerging Artists Award Exhibition, Toowoomba Regional Gallery, QLD. 2008 20-20 Vision, Art Factory Gallery, Merivale St., South Brisbane, QLD. 2007 Expressions of Interest, Circle Gallery, West End, QLD. 2006 Funky Blood Festival, Bardon, QLD. 2005 About Face, 69 Smith St, Fitzroy, VIC. 2005 Brisbane Rotary Art Spectacular, Riverside Centre, Brisbane, QLD. 2004 Norvill Art Prize, Murrurundi, NSW. 2004 Space Invaders, Biennial Emerging Artists Award Exhibition, Toowoomba Regional Gallery, QLD. 2004 Brisbane Rotary Art Spectacular, Riverside Centre, Brisbane, QLD. 2003 Churchie Art Show, East Brisbane, QLD. 2003 R & M McGivern Art Prize, Maroondah, VIC. 2003 Brisbane Rotary Art Spectacular, Riverside Centre, Brisbane, QLD. 2002 BRISSC Art Exhibition, Parliament House, Brisbane, QLD. 2002 Brisbane Advertising & Design Club, Art & Soul Charity Auction, Queensland Art Gallery, Brisbane, QLD. 2002 Pine Rivers 10th Annual Art Awards, Strathpine, QLD. 2001 Brisbane Girls Grammar School Annual Art Exhibition, Brisbane, QLD. St Vincent’s Private Hospital, Brisbane, QLD. Mater Private Hospital, South Brisbane, QLD. Gold Coast University Hospital, Southport, QLD. Toowoomba Regional Art Gallery, QLD. Gadens Lawyers, Queen St, Brisbane, QLD. Australian Catholic University, Banyo, QLD. 2015 First prize Mixed Media, Immanuel Arts Festival, Buderim. 2014 Highly Commended, Kenilworth Art Prize. 2010 Judges Honourable Mention, Kenilworth Art Prize. 2010 Winner, abstract class, Wilston State School Art Show. 2009 Runner-up, contemporary class, Maleny Art Awards. 2008 Runner-up, Nundah Festival Art Competition. 2007 Runner-up, contemporary class, Nundah Festival Art Competition. 2003 Runner-up, Aspects Art Show, Goondiwindi. 2009-2010 110 x 8 metre wall mural for office building in Bella Vista, NSW. 2002 Four large paintings for surgery waiting room, Wickham Tce, Brisbane, QLD. Approximately 35 other commissions undertaken since 2002. 2015 Hill End Artist in Residence program, Hill End, NSW. 2014 Broken Hill Art Exchange - Capturing and releasing Broken Hill. Sunshine Coast Daily, ‘All boxed and ready to satisfy art judges’ 16 June 2014. Lauren Grounsell, ‘Flair with recycling pays off’ in Range News, Sunshine Coast, 19 June 2014. Emily Roberts, ‘Recycling items into art’ in Barrier Daily Truth, Broken Hill, 17 May 2014. The Weekend Edition, ‘Measuring Fruit and Veg’, Tuesday, March 05 2013. Sally Browne, ‘Out of the box’ in U ON SUNDAY in Sunday Mail, Brisbane, 3 March 2013. Sandy Pottinger, ‘Objects get new meaning’ in The Chronicle, Toowoomba, 29 September 2012. The Chronicle, Toowoomba, 'Top artists showcased next month', 31 August 2012. Toowoomba Regional Art Gallery ‘Toowoomba Regional Art Gallery - celebrating 75 years’, Toowoomba, 2012. Alicia Blumson, ‘Boxing Clever’, Brisbane News, 27 July 2012. David Wheeldon, ‘Gigantic mural makes a bright base for new office space’ in Architecture and Design Newsletter, 8 March 2011. Hill Shire Times, 'Building a canvas', Tuesday December 14, 2010. Sandy Pottinger, ‘New artists explore old themes with fresh ideas’ in The Chronicle, Toowoomba, 4 October 2008. John Mateer, ‘Under Scrutiny’ in Arts and Medicine, 1, 2005. Trent Dalton, ‘Bad for good’ in Brisbane News, 24 July 2002.